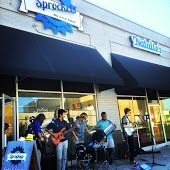 How Can I Go Sprockets Bicycle and Coffee Shop? 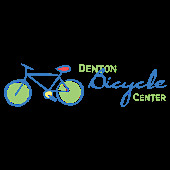 Where is Sprockets Bicycle and Coffee Shop in Denton on the Map? EVERY SINGLE TIME I've been in the shop the whole staff are super friendly and knowledgeable. The owners are amazing. And come on - being able to take bikes out for test rides is incredibly helpful. Five stars people, five stars! I don't usually write reviews, but these guys are great. Went in and they were very friendly and understanding and worked with me to find a used bike suitable for my larger frame and smaller budget. Even threw in some replacement grips for free, and bikes you buy from them have a 1 year service warranty. Haven't ridden in a decade, took it out for a spin this afternoon and had a blast. Highly recommended! Very friendly and quick service -- big thumbs up! They let you take the bikes out on the square for a test drive...awesome! After few rides a bought one.